LOS ANGELES - XLrator Media announces the DVD, Blu-ray and VOD release of the Jimi Hendrix biopic, Jimi: All is by My Side . Directed by Academy Award Winner John Ridley (12 Years a Slave), the film stars Andre Benjamin (Musician, Outkast), Hayley Atwell (Captain America), Imogen Poots (Need for Speed, That Awkward Moment) and Ruth Negga (ABC's "Agents of S.H.I.E.L.D."). 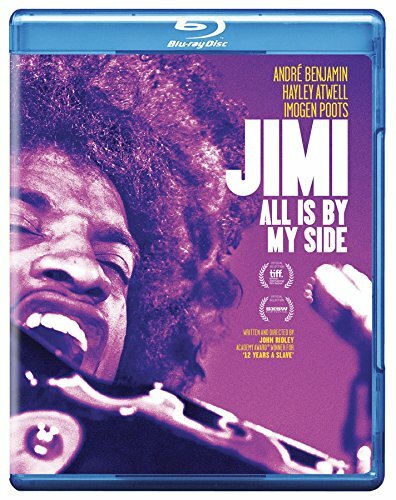 Jimi: All is by My Side will be available on DVD for an SRP of $20.99 and on Blu-ray for an SRP of $24.99 on January 13, 2015. OutKast's Andre Benjamin stars as Jimi Hendrix in this revealing biopic from Academy Award-winning Writer-Director John Ridley (12 Years A Slave). The film covers a year in Hendrix's life from 1966-1967. He was unknown backup guitarist playing New York's Cheetah Club. He made his mark in London's music scene and eventually captured the respect of audiences during his Monterey Pop triumph. The film presents an intimate portrait of the sensitive young musician on the verge of becoming a rock legend. XLrator Media, LLC (XLratorMedia.com) is a multi-platform releasing company founded by industry veteran Barry Gordon. It is focused on acquiring feature films, event programming and libraries, in addition to producing programming for enthusiast genres and categories that are under-served by the major studios and most independents. Recent XLrator Media releases include Ironclad, John Carpenter's The Ward, Bunraku, Killing Bono, Knuckle, We The Party, 96 Minutes, Assassin's Bullet, Blood Money, Brawler, Bigfoot: The Lost Coast Tapes, Outpost: Black Sun, The Thompsons, Allegiance, Thale and the upcoming American Mary and Storm Surfers 3D. Rating: R for language including sexual references and some drug content.